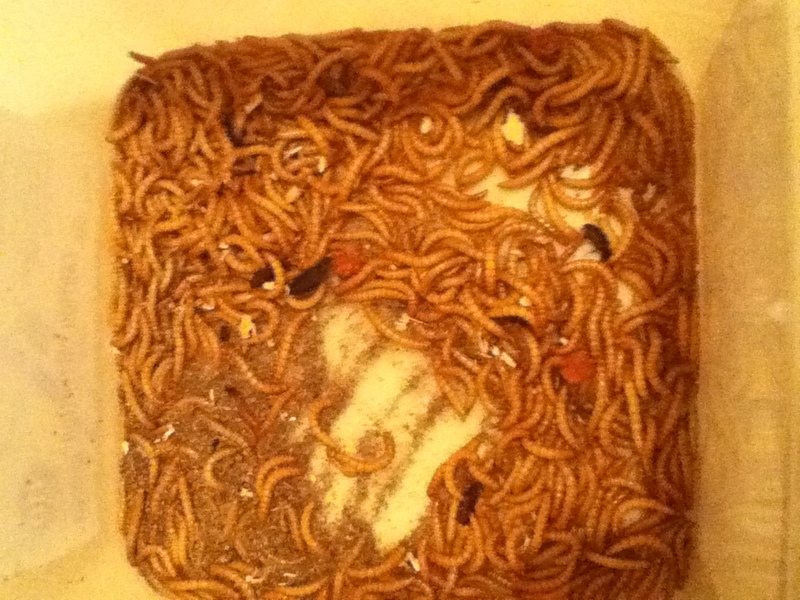 Mealworms are beetles, which means like all beetles they go through Complete metamorphosis. This has 4 unique stages. Which will be discussed separately. Eggs are too small to see with the naked eye. Most are laid in the substrate, but can also be laid on food sources, and anything else inside the Colony's Enclosure. Eggs usually hatch within 7-14 days during normal temperatures. But it can take much longer in cool environments. Larvae hatch from the eggs and for the first few days/weeks are almost invisible to the human eye. After a bit of feeding and molting [shedding their exoskeletons] they grow much larger and visible. 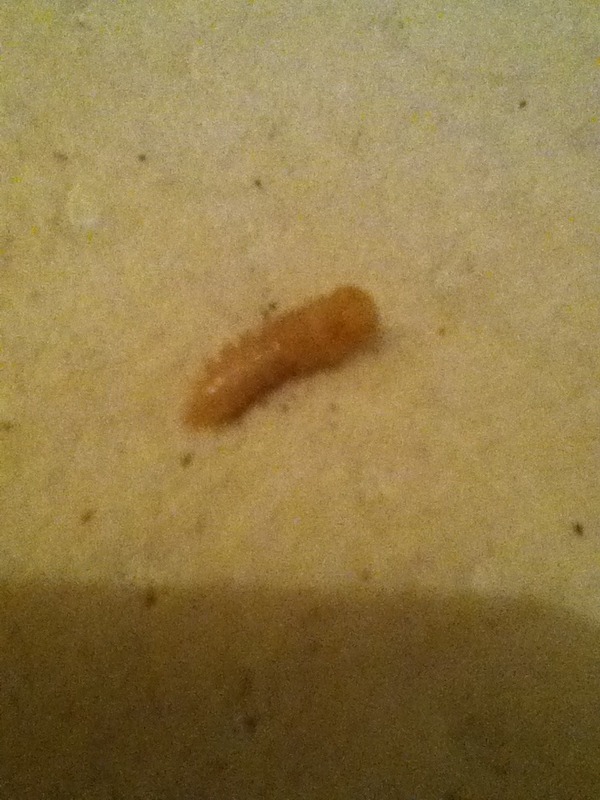 The larvae stage eats the most food, so it is important to keep their supply going strong. They molt about 12-20+ times, of course this is all temperature determinate. The Larvae stage is also the longest stage, lasting anywhere from 2 months to even longer in colder conditions. The pupae stage is probably the shortest stage of the Life-Cycle. It usually lasts no more then 2 weeks. In cooler temperatures it could last about a month. The pupae will not feed and only wiggle if disturbed. 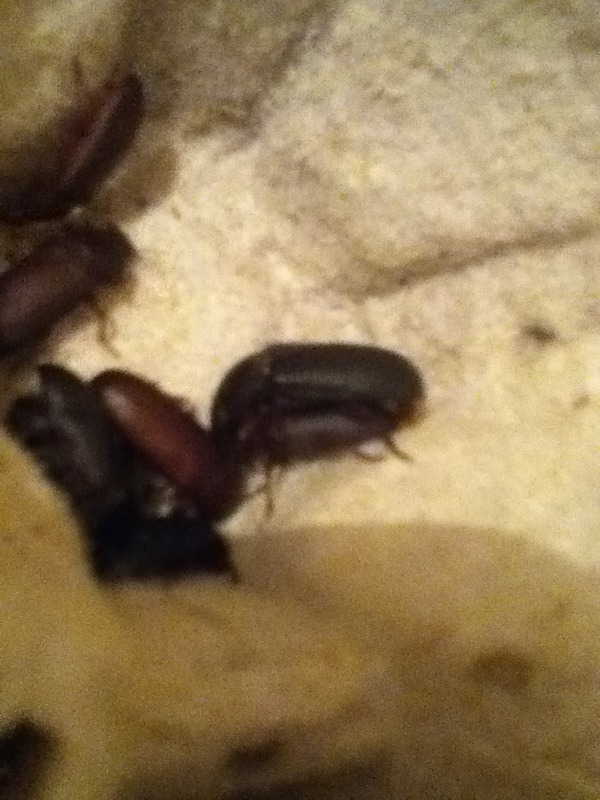 They darken with age and eventually the legs darken up and the beetle emerges. 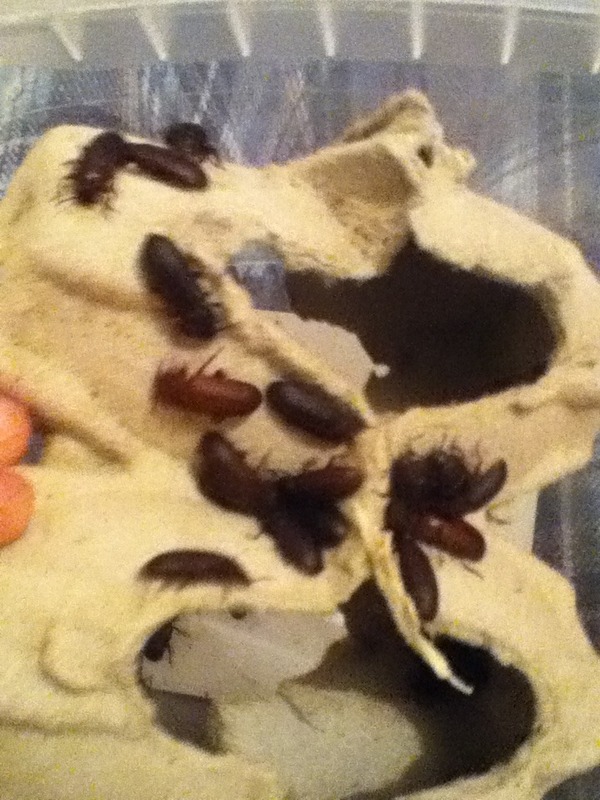 The beetle stage is the adult stage, this is where breeding and egg laying will occur. The beetles emerge white, but soon after turn rusty red, then finally black. They do not bite and seldom fly. [I've personally never seen one fly before] Adult beetles will usually feed mostly on moisture rich foods, but they also nibble a bit on dry feed as well. Females are usually much larger. Mating occurs after they have darkened up and males usually chase females and then mate with them. Beetles usually live around a month or even up to three months depending on various factors. The total Life-Cycle from egg to adult is usually about three months. They can then have about 4 generations a year in Captivity maybe even more depending on various factors.